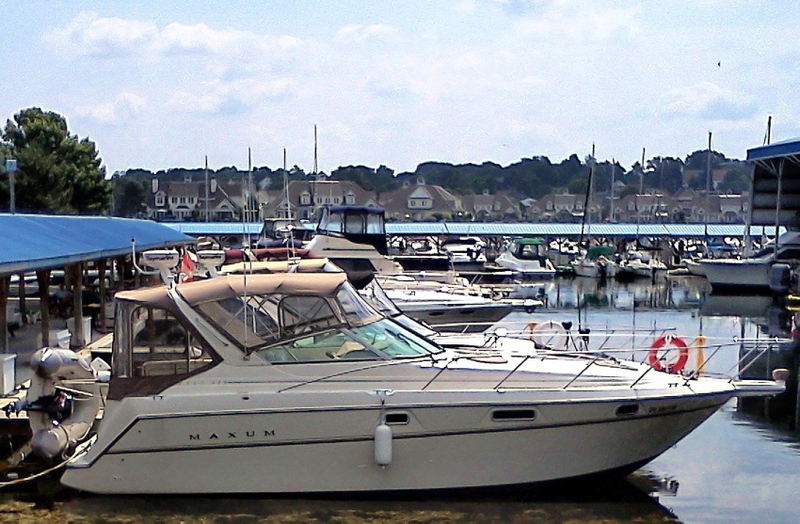 Maxmum’s 3200 SCR has an 11’ beam with generous molded steps to the walk-thru windshield and the centre transom door leads into a spacious and inviting cockpit which seats many on three bench seats with two tables. BBQ your favorite dish on the swim platform while entertaining guests in the cockpit! The passenger helm seats two and opens into a full sun/bed lounger. Headroom is excellent throughout the boat, even in the aft cabin where there is full standing room after you enter. Air/heat, windlass, a fabulous custom canvas system, recent stereo and TV/DVD combo, and a full array of recent electronics are just some of the numerous features this boat includes. Extremely well maintained!